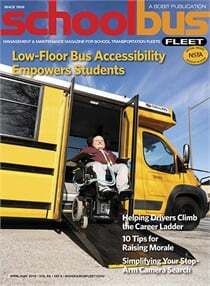 James Blue, School Bus Fleet's general manager and publisher, weighs in on recent bills across the U.S. that have taken aim at school bus safety. 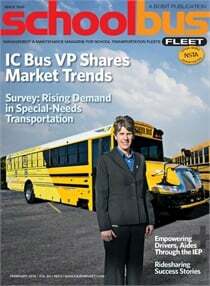 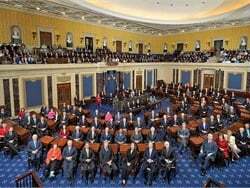 New congressional officials and their teams are learning a whole host of new things as they begin their service, and they also need to learn about school bus transportation in order to better represent the industry's needs. 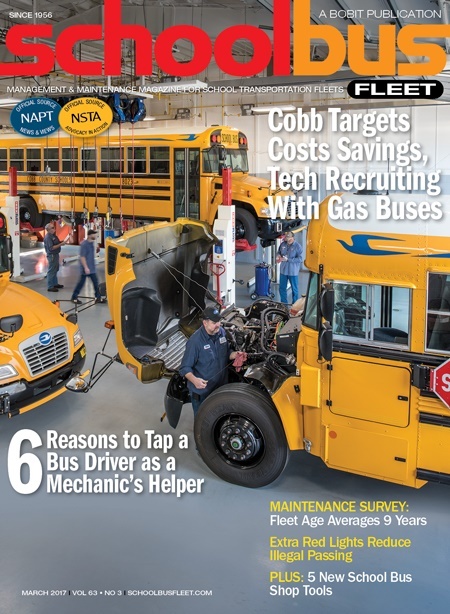 NAPT's executive director says that eliminating confusion, getting answers, and having additional information would go a long way toward advancing state and local consideration of lap-shoulder belts in school buses. 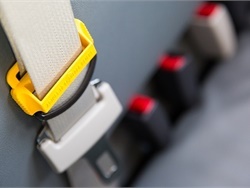 In addition to safety and durability, driver seats offer various options for height and comfort. 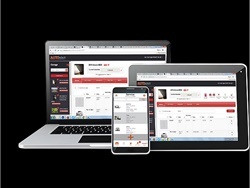 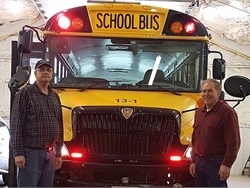 An app that helps track maintenance and fuel, a remote-controlled mobile column lift, and a portable LED work light are among the latest offerings that can assist in school bus maintenance. 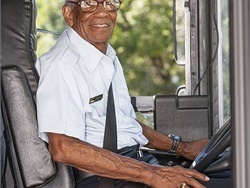 In this new series, we pose five pertinent questions to a notable person in pupil transportation. 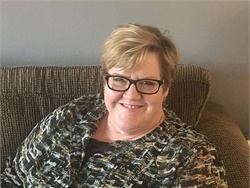 Our second discussion is with Diana Hollander, Nevada’s state director of pupil transportation and president of NASDPTS. 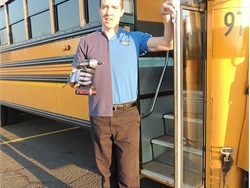 A school bus driver who assists in the shop can help improve communication, boost productivity, and increase safety — all while saving money for the transportation department. 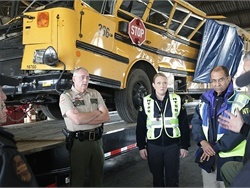 Five Iowa districts that tested supplemental warning lights on school buses have seen stop-arm violations drop by at least 50%.